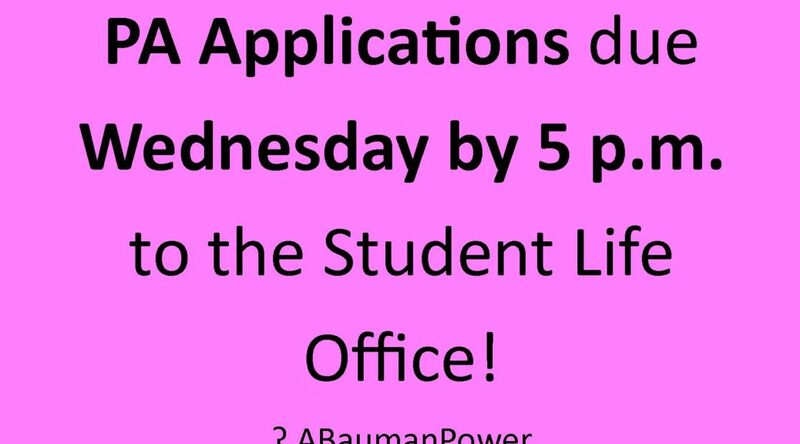 Applications to be a PA for New Student Orientation are due Wednesday by 5 p.m. to the Student Life Office! Skilled procrastinator? 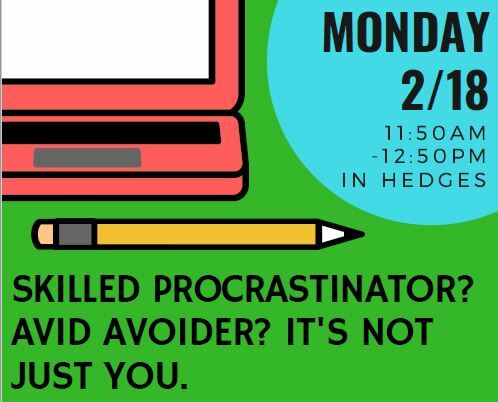 Avid avoider? It’s not just you! Stuck in a cycle that isn’t working? In this one hour workshop, you will learn skills to break the cycle, re-frame your outlook on success, and find out how meaning impacts our willingness to push through. Stuff A Critter is Back!!!! The event everyone has been waiting for…Stuff-a-Critter round 2. Come make a furry friend with PAAC on the OC on February 13 starting at 11 a.m. All supplies provided and are first come, first serve. 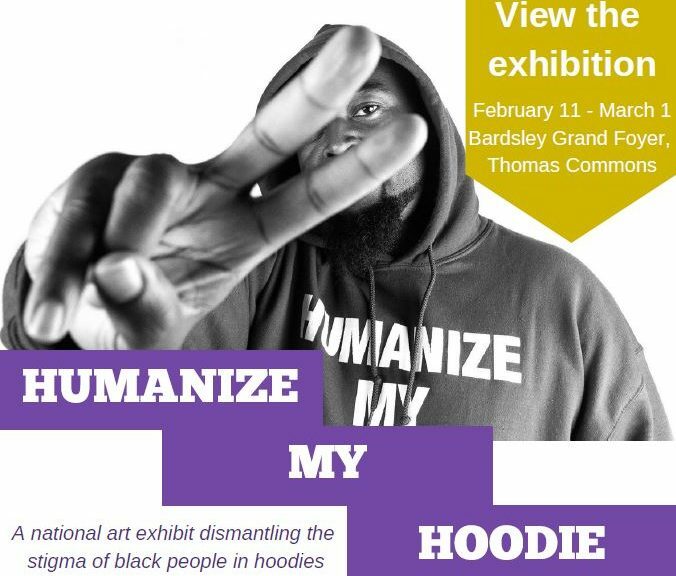 Swing by the Bardsley Grand Foyer in the Thomas Commons and check out the national art exhibit, Humanize My Hoodie. The exhibit works to dismantle the stigma of black people in hoodies and will be up until March 1. Meet the Artists on February 22 at noon on the Orange Carpet! Sponsored by Civic Engagement, Intercultural Life, Spiritutal Life, and Union Latinx. Liberia’s National Peace Ambassador and Cornell alumnus The Rev. William Tolbert III ’77, son of the late Liberian President William Tolbert Jr., will speak on the history of Liberia and root causes of its civil war and instability, and identify the challenges to–and recommendations for–genuine reconciliation and lasting peace. 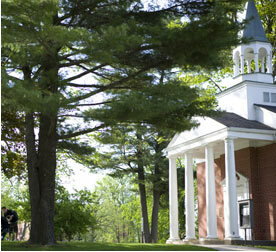 Since 2000, the Small-Thomas Lectures have explored the intersection of faith and social justice thanks to a generous gift from Richard Small ’50 and Norma Thomas Small.